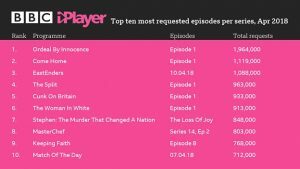 Agatha Christie murder mystery Ordeal by Innocence was the most-watched programme on the BBC iPlayer service in April, according to the latest statistics from the public broadcaster on its catch-up and on-demand offering. 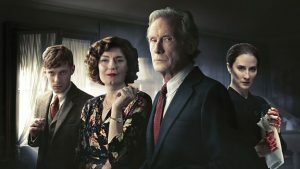 The first episode of Ordeal by Innocence attracted two million requests on iPlayer, with the second episode securing 1.2 million requests. 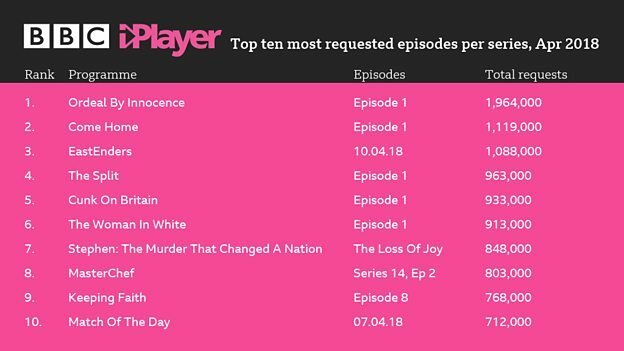 Overall, BBC iPlayer saw 277 million requests across the month, and 9.2 million daily requests, up on the performance for the same month last year. Drama series Come Home and soap opera EastEnders attracted a strong audience on the service. Episodes one and two of Come Home attracted over one million requests each, while EastEnders accounted for 12 of the top 20 most-requested episodes for the month. Other shows attracting a strong iPlayer audience included drama series The Split, comedy series Cunk on Britain, period drama The Woman in White and documentary series Stephen: The Murder That Changed a Nation.